Mehool founded the Learning Possibilities in 2007 with a vision of meeting the needs of learners in the digital age. The Company’s ‘LP+’ LMS is the largest cloud-based learning platform on Microsoft technology for K-12 schools with over 1m educators and learners. The technology is supported by the Company’s ADOPT e-maturity framework, which is now the UK national standard. Both the technology and the framework have won numerous national and international awards. 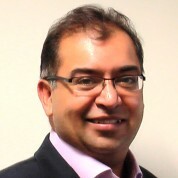 Learning Possibilities works in the UK, Middle East and Asia.Mehool is also the executive director of the ground-breaking JAINpedia.org project, a charitable initiative that created the largest online Jain encyclopaedia. "Teachers have always been the bedrock of education, and in this rapidly changing world, their ability and skills are paramount in meeting the needs of the digital age. We must raise their profile and recognise excellence wherever we see it. We must also attract our brightest into the profession. I believe that the Global Teacher Prize raises the bar and drives us firmly in this direction."